This award winning house was granted consent as a replacement dwelling, albeit considerably larger than the original house. 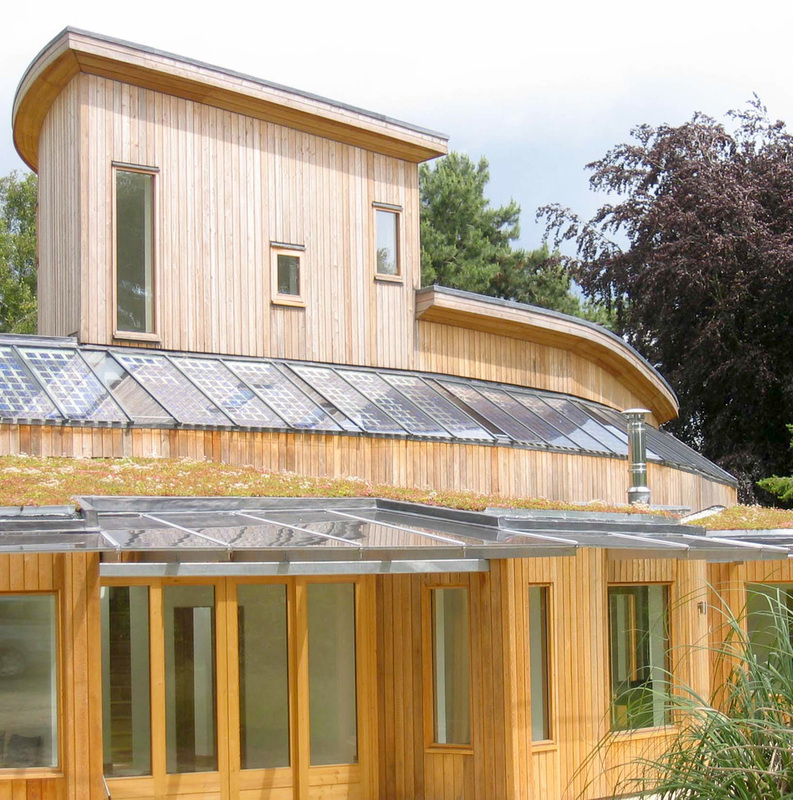 It is conceived as a zero carbon house built of materials with low embodied energy, and serviced using systems which harness the sun's energy. Photovoltaic cells generate electricity to power the ground source heat pump. 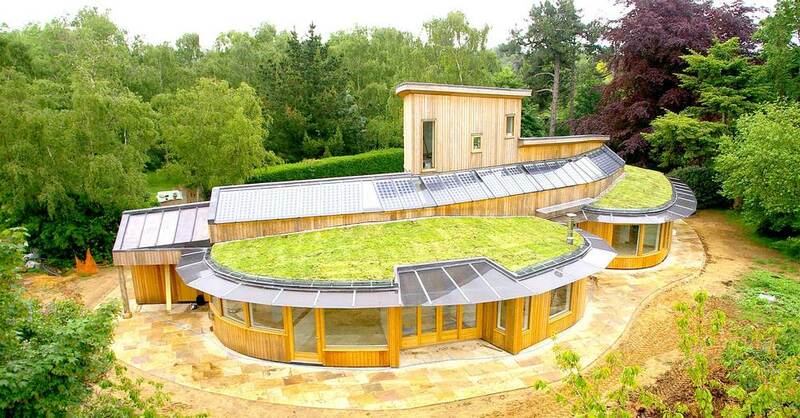 The sedum roof creates a garden at first floor level which is visible from the master bedroom. 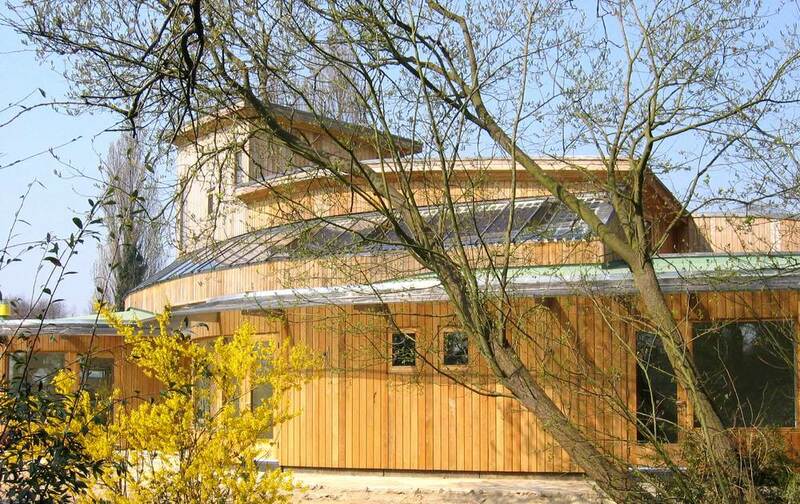 Larch cladding is fixed vertically for improved longevity.